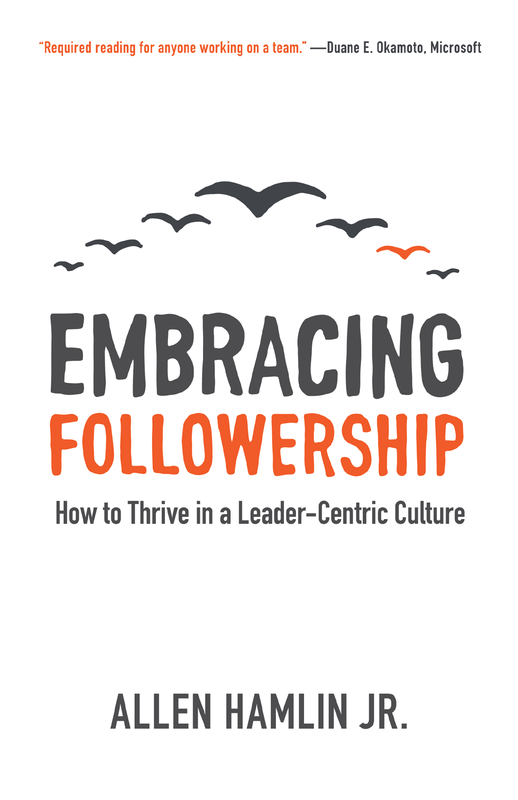 Information and links for the book Embracing Followership: How to Thrive in a Leader-Centric Culture. Published by Kirkdale Press and released in February 2016, Embracing Followership is available in print as well as a variety of eBook formats including Kindle, Logos, and Faithlife Ebooks. Find ordering info here. Embracing Followership: How to Thrive in a Leader-Centric Culture is a guidebook for all of us on the journey of followership. Followership is the complementary idea to leadership, but has long been overshadowed by the more popular trend to push people toward position, status, and titles. This book is an encouragement to us to follow with excellence, to value and embrace the variety of obligations and opportunities that we possess as followers. It’s also an acknowledgement of the challenges that we face in following well, and a chance for us to discover some of the resources–tools, perspectives, and best practices–that can facilitate our journey into excellence. Throughout, we are reminded of the importance of creating healthy relationships with both our leaders and our fellow-followers, in order to maximize the effectiveness of our working environment as we co-labor together to achieve our organization’s goals and aims. You can read about some of the original inspirations for this book by having a look at Inspiration: A Vision of the Possible and Lessons from Lemmings. For subscribers to Missio Nexus, you can listen to the author describing a bit of the background and main ideas of the book in this interview. A specifically Christian overview of the book can be found at the Lexham Press blog. To read a few sample chapters, see links from the Table of Contents page. Now supplemented by a new discussion guide for teams & small groups, providing 140 pages of additional material to prompt your personal reflection, group discussion, & individual application of the principles of excellent followership! You can engage with us on Facebook at: facebook.com/EmbracingFollowership, or on Twitter using hashtags #followership and #EmbracingFollowership. Additional information about the author can be found on the About Allen page. 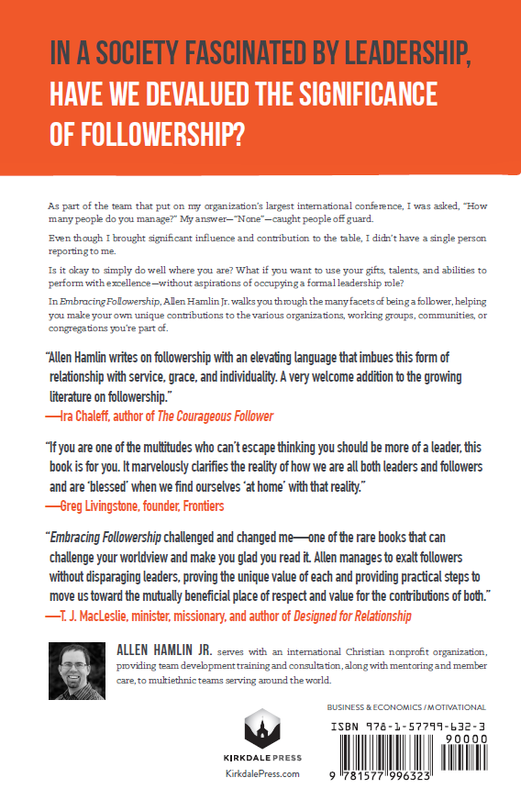 Peruse other thoughts on followership through the regular posts on our blog, as well as discovering additional followership Resources—including recommended books and videos—and free downloads. companion volume discussion guide also available!